I had a really fun time with the Diva challenge this week. 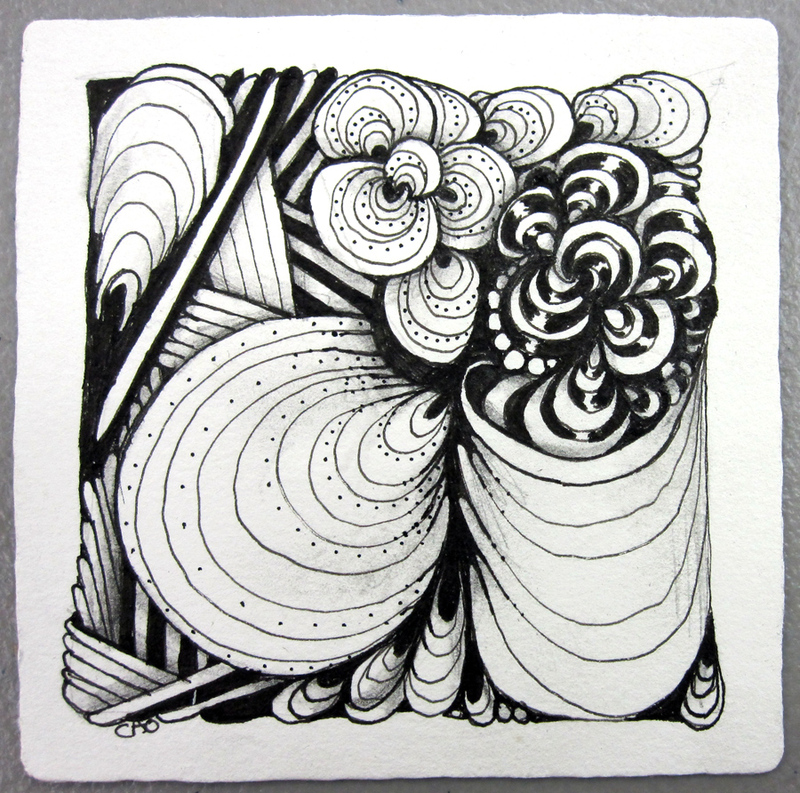 I hadn't yet had a chance to try the new tangle, Bunzo, created by the Zentangle folks. So this was a treat. My string was a sort of "s" although you can't really tell from the tile. I started with Bunzo in one section, then filled another section with another start of it. The remaining sections were large, so I stretched one of the bunzos way far out. I love the rhythm of this tangle! Once I got going it started to remind me of Mikee Huber's Pais, which has a similar rhythm. I loved the stripy action, so put a little Baton in the background. In turning the tile round and round to feel out where my signature might land, I couldn't help but feel like I had bunzos coming out of a bag. It is Trick or Treat day, so this seems fitting. Thank you, Zentangle for a lovely dance, and thank you, Laura, for keepin' on keepin' on. This week's Diva challenge seemed simple enough. Use stripes or border-like strings to create a Zentangle. I began the first one in a restaurant, waiting for some people to show up. As I saw them coming, I hurried up to finish the first section of the tile. 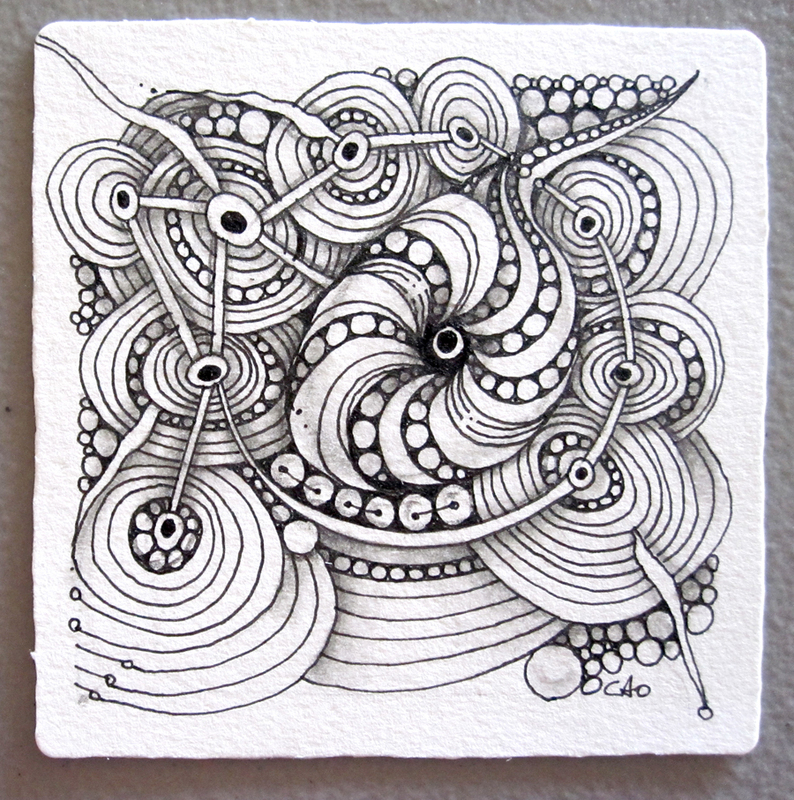 Hurrying through a Zentangle is just not where it's at. However, moving forward is. So, as unhappy as I was about starting one so haphazardly, I knew I had to simply move forward from that point on. And so I did. Part of me wants to say that it's overworked but another part of me really doesn't care. It was fun to do and re-do and fill in and find places to rework. It was so much fun I had to do another. This time I felt more deliberate with each stroke, so the result was a little less complicated. None of that really matters, though, as I felt my exercise was to move forward and that was all. I am grateful that this art form can allow us to move with any exercise we choose. 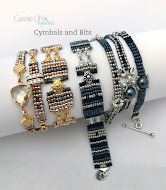 This week's Diva Challenge was inspired by the Beads of Courage project. I couldn't resist this as I am surrounded by beads everyday. I am also surrounded by courage every day. One of the big surprises of opening a bead store, was the influx of stories from customers about how beads have helped them through some difficult times. 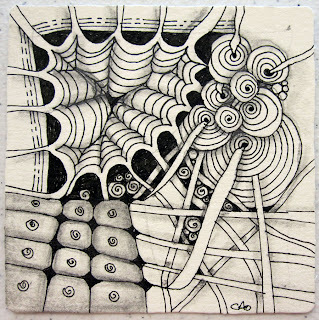 Beads, like Zentangle, have a soothing quality when you work with them. Historically, beads have often been used for 'marking' or counting prayers or intentions. I think that the Beads of Courage idea is a beautiful way to mark events, physically accumulating the intention of courage. 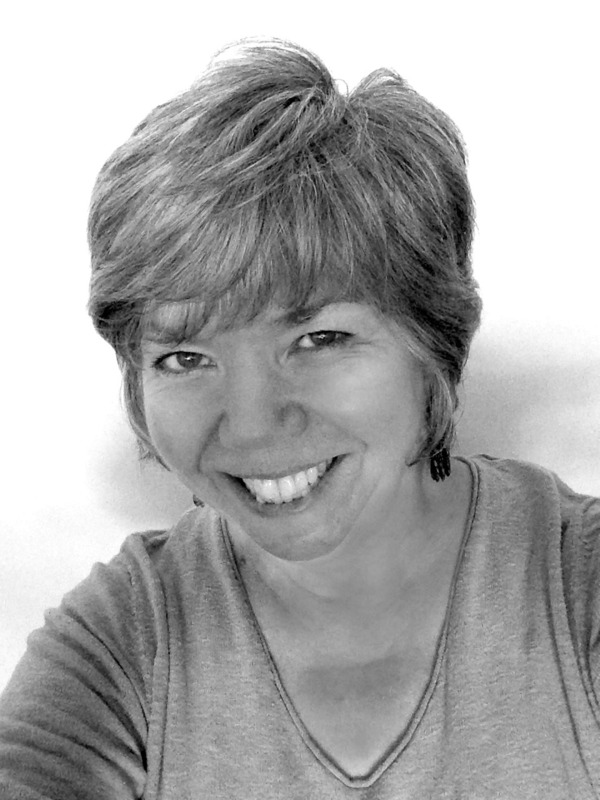 Thanks, Laura Harms, for presenting this challenge. I had a great time! Last week I did a one-on-one Zentangle class with my new beading friend, Lisa. I did my tile alongside her, going through the steps and structure like I always do. I usually teach the same four tangles when I teach and introductory session. One would think that might get tiresome, but I find that every time I do one, a little something new happens. This time, it was the student who brought something new. As I was showing her the 'sparkle' technique on Printemps, she had the idea of putting a ribbon-like bar through the sparkle skips. I love what-ifs. 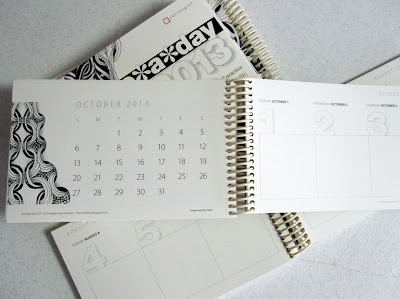 And I love that the practice of Zentangle always reminds me that every moment is a new one, plain and simple. 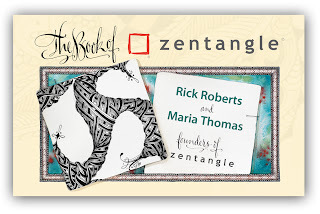 Ok, I know it's old news to most of you, but it's still is and always will be exciting that The Book of Zentangle by Rick Roberts and Maria Thomas is finally here. I'm also sure that whatever words I would use to describe this book have already been uttered. 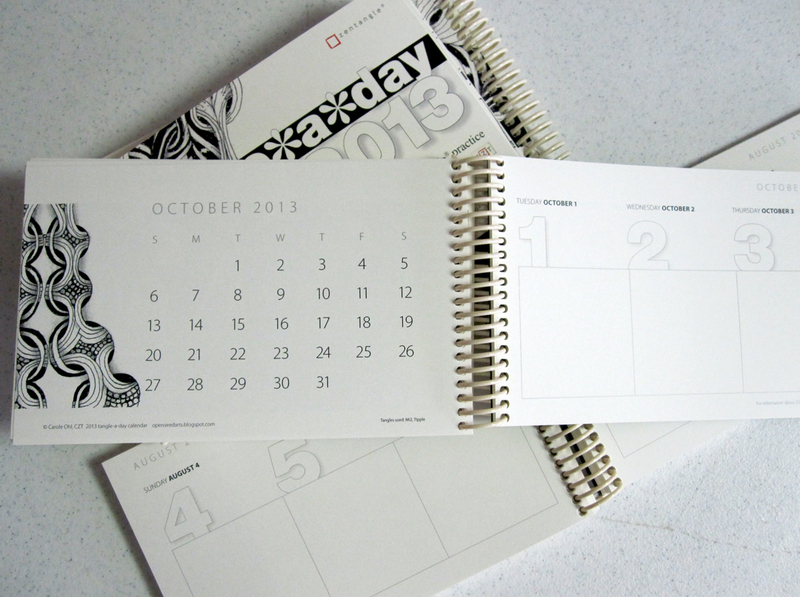 It's the perfect reflection of what Zentangle's two creators have given over the years. 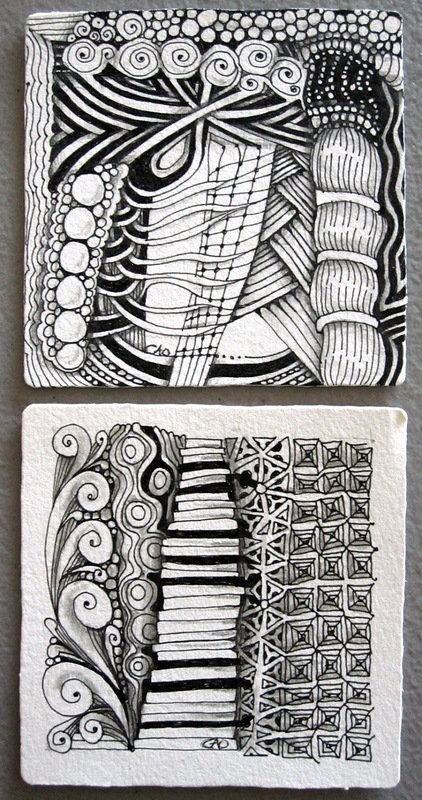 Whenever I do Zentangle art, it is a savored moment. Even if I begin in a "git 'r done" frame of mind, it's not long before I find myself floating to a different place. That place is one of calm and creativity, where the pen flows almost on its own, and I am left to simply savor its movement and its marks. I watch forms and patterns surprisingly emerge without a plan, even though every mark I make is deliberate. 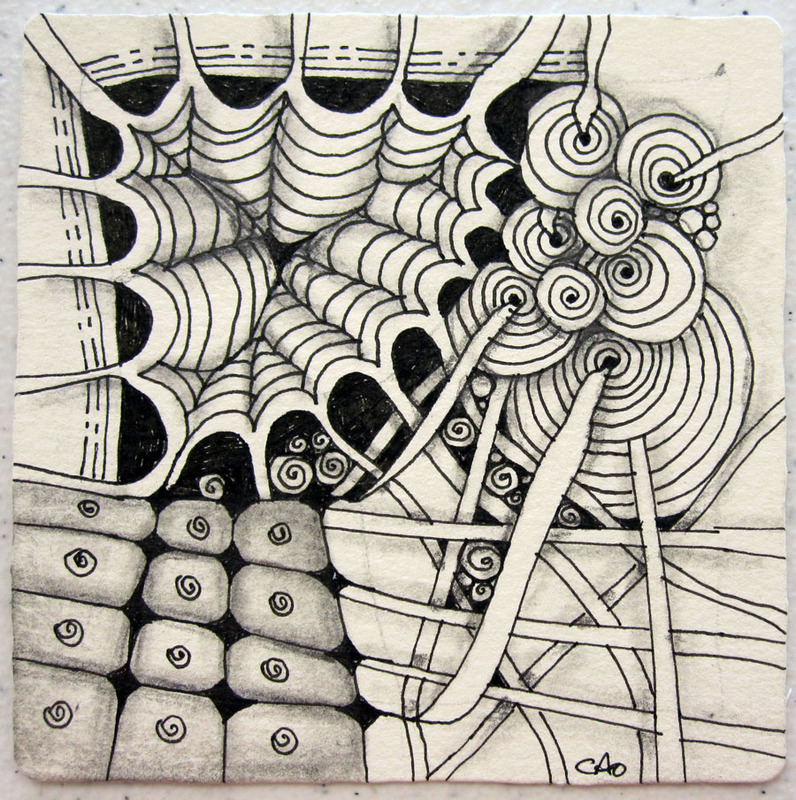 I turn the tile round and round, getting a feeling of what's there, of what's lying underneath (the string!) and what, if anything, the tile is asking me to do next... more? stop? 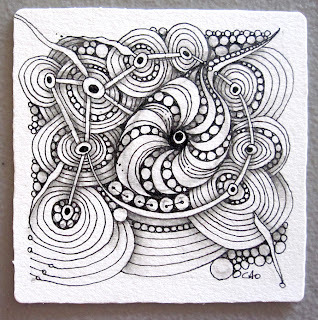 The more I look at/read The Book of Zentangle, the more I feel the book itself as a Zentangle. I savor the pages, finding something new I hadn't seen before, listening to what it might be asking me to do or see. This beautiful book is more than a story, it's the feeling of Zentangle as only Rick and Maria could express. This book is a gift to all who already love this art form, and a gift awaiting anyone who still hasn't discovered it. Thank you, Rick and Maria.